The Joint Admissions and Matriculation Board (JAMB) wishes to inform all 2017 Supplementary Unified Tertiary Matriculation Examination (UTME) candidates that they can now re-print their registration slips to access their CBT examination centres online. 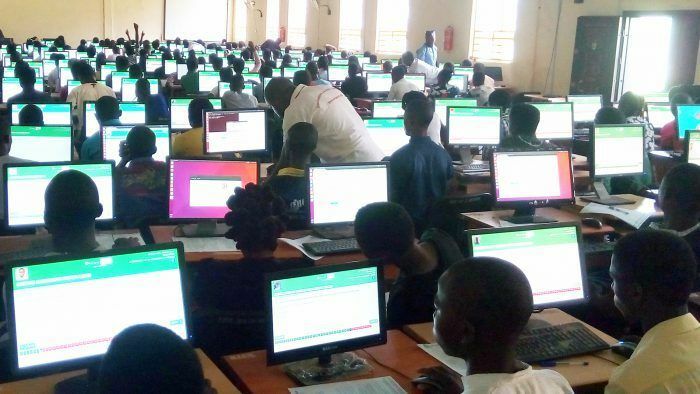 JAMB is currently sending to candidates information about their examination date and CBT venue via the email they used to register for the 2017 Unified Tertiary Matriculation Examination (UTME). Note that the exam notifications are being sent in batches. If you are yet to get your exam notification, follow the outlined procedure below to print your JAMB UTME slip by yourself anywhere. 3.Click on the “Print Examination Slip” on the page to access your examination slip. Note: Please allow popup for this site from your browser. Candidates are to note that the supplementary examination will still hold on Saturday, 1st July, 2017. The exam body has assured candidates that necessary machinery has been put in place to ensure a hitch free exercise.